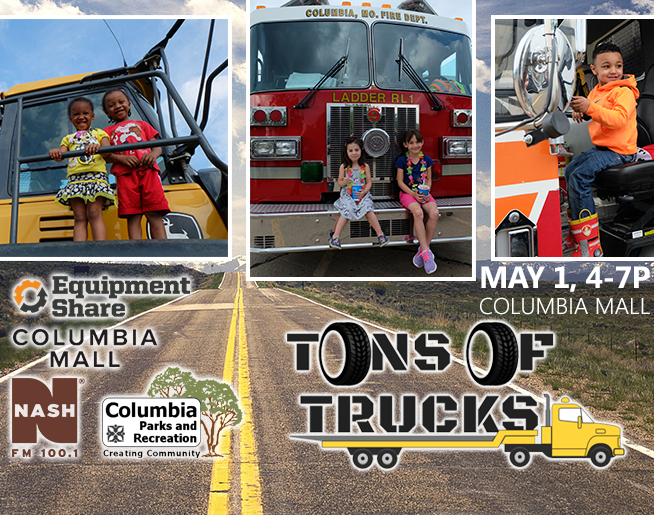 NASH FM 100.1 invites you to the Columbia Mall on May 1 from 4-7pm for the annual Tons of Trucks event! Climb on up into the driver’s seat for Tons of Trucks 2019! This beloved community event is back for 2019! Kids, parents, and kids-at-heart will love checking out giant construction equipment, emergency vehicles, trash trucks, and dumpers, diggers and mixers of all shapes and sizes! This event is held rain or shine and is FREE for all.